Join hundreds of others in Gràcia for this seasonal gastronomic tradition. 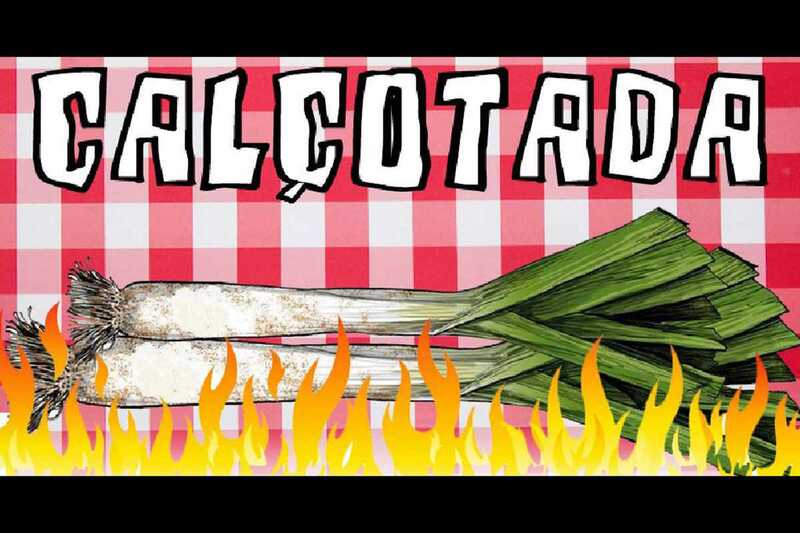 The €15 menu includes 15 calçots with romesco sauce, botifarra, bread, water or wine and fruit for dessert (kids menu available for €7). The session starts at noon with vermouth and music, with the calçotada at 2pm. DJ Mistu provides the tunes. The event is organized by the neighbors association of Travessia de Sant Antoni, who decorate their street and organize activities during the Festa Major de Gràcia.